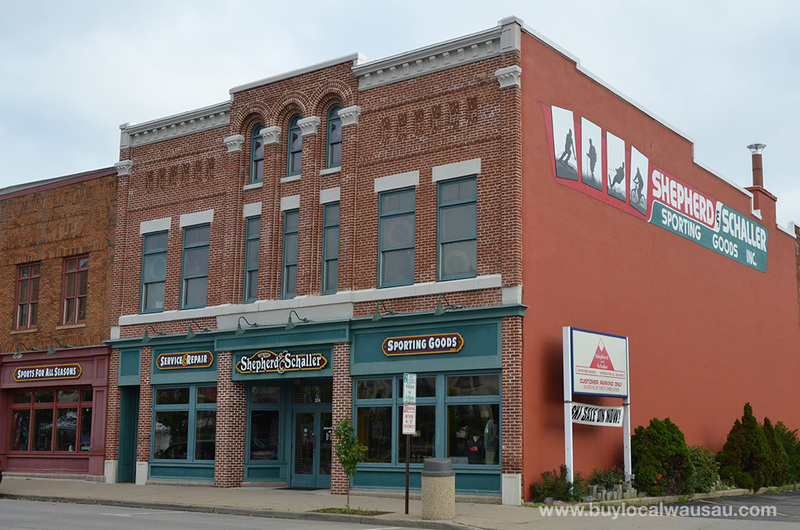 Shepherd & Schaller Sporting Goods at 324 Scott Street in downtown Wausau will celebrate 65 years in business September 18-21, 2014. The store was founded in 1949 by Allen Shepherd and Stan Schaller, brothers-in-law who met during WWII. The store’s merchandise mix has evolved with the times, and the business continues to grow. According to Theresa Shepherd: “With competition at every turn, an economy we all struggle in, and only 24 hours in a day, is it worth it? We can’t answer for anyone else, but because ours is a toy store for grown-ups in a community that values integrity, family and the environment, the answer is Yes! We wouldn’t have it any other way. What makes Shepherd and Schaller unique? 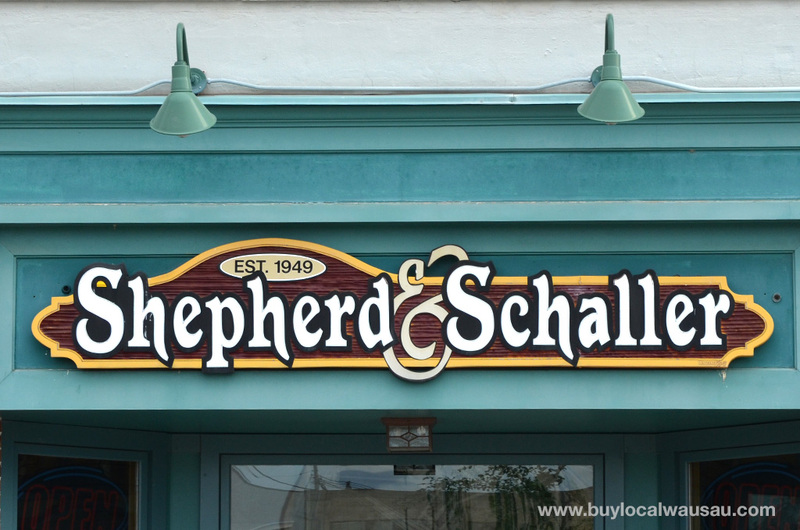 Shep’s is a one-of-a-kind place to shop and a cornerstone of the Downtown Wausau community. Customers shop three floors, including our famous basement “Dungeon.” Our building is 115-years-old and was once the home to the first JC Penney store east of the Mississippi. Some say it’s haunted (you can Google it). Our sales floor is merchandised like a well-loved cabin, and features artifacts and furnishings from our long history – everything gets re-used. We rent skis, boards, snowshoes and ice skates in winter, at prices much lower than local ski areas, and we offer long-term leases as well. But what makes us truly unique is our 65-year history, which provides unparalleled insight into how we run our business and serve our customers. Our owner Robb Shepherd has been at the helm since 1986. He is known and respected by ski and snowboard suppliers industry-wide and often serves as a consultant to Nations Best Sports in behalf of other small shops trying to complete with big box stores. Our 10 full-time employees collectively have 118 years experience in our store alone to help customers have the best time possible on snow, trails, or wherever the outdoors takes them. We respect our suppliers and the challenges they face and we consider our sales representatives friends, understanding that they can help us make great decisions, satisfy our customers and grow our business. Contributed content from Shepherd and Schaller Sporting Goods.